Blockchain is not a new issue anymore. Both company and government are aware of this. Recently, there is also an ICO. Bitcoin magazine stated that an Initial Coin Offering, also commonly referred to as an ICO, is a fundraising mechanism in which new projects sell their underlying crypto tokens in exchange for bitcoin and ether. It’s somewhat similar to an Initial Public Offering (IPO) in which investors purchase shares of a company. ICOs are a relatively new phenomenon but have quickly become a dominant topic of discussion within the blockchain community. Many view ICO projects as unregulated securities that allow founders to raise an unjustified amount of capital, while others argue it is an innovation in the traditional venture-funding model. This investor gathering will talk about the blockchain, ICO, and the digital asset. We expect the panel and speakers could contribute to the fruitful discussion. 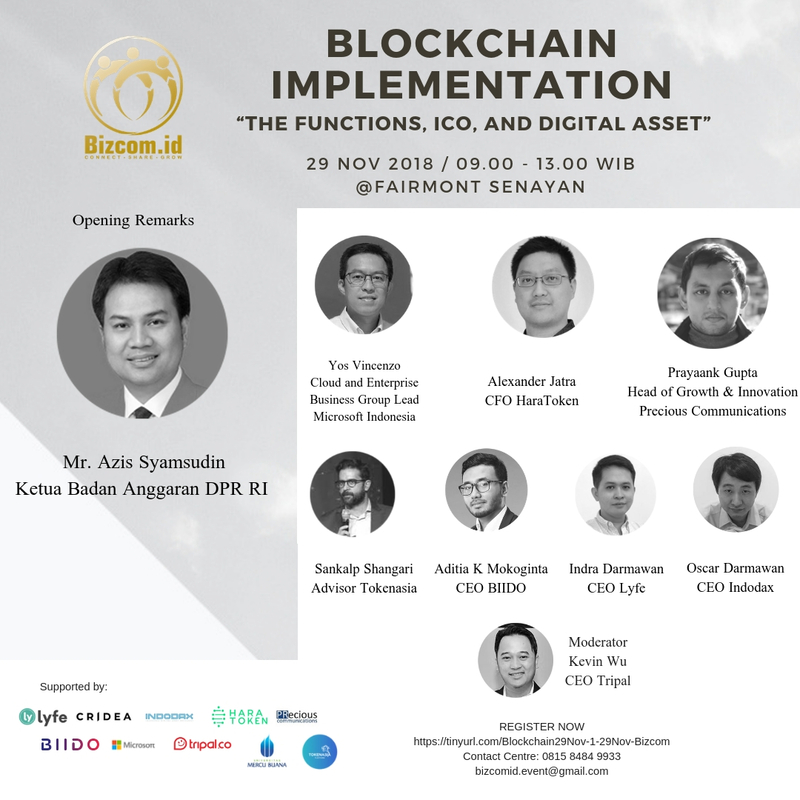 Blockchain and ICO as a part of digital asset give more chances to the audience to talk about the future of it through the discussion with the panel.